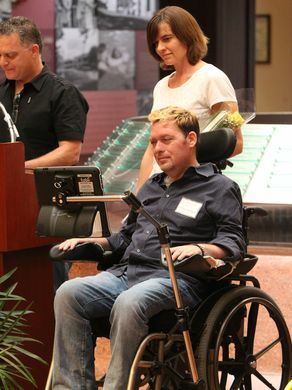 Anthony Senerchia Jr. received the Rehab Patient Trophy at the Helen Hayes Hospital Honors Assembly in West Haverstraw Sept. 20, 2016. Peter Carr/The Journal News. CLICK THE PHOTO TO READ THE ARTICLE! 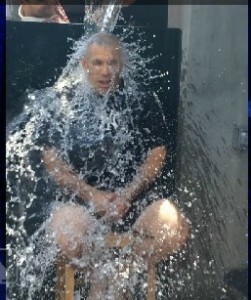 JOE GIRARDI TAKES THE ICE BUCKET CHALLENGE AND PAYS SPECIAL TRIBUTE TO ANTHONY! Ever Wonder How the Whole “Ice Bucket Challenge” Started? Jeanette Senerchia, whose husband was diagnosed with ALS 11 years ago, first took the Ice Bucket Challenge in July, after being nominated by her cousin. She had no idea what would happen next. 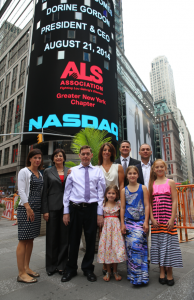 DORINE GORDON, PRESIDENT AND CEO OF THE ALS ASSOCIATION GREATER NEW YORK CHAPTER INVITES THE SENERCHIA’S AND OTHER ALS FAMILIES TO JOIN THEM IN RINGING THE OPENING BELL AT THE NASDAQ EXCHANGE IN TIMES SQUARE, AUGUST 21, 2014! 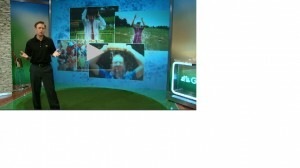 The CEO & President The New York Chapter of the ALS Association, Dorine Gordon, credits and discusses Anthony Senerchia Jr. in her interview on Fox News with Maria Bartiromo. 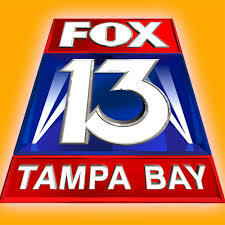 Click below to watch! 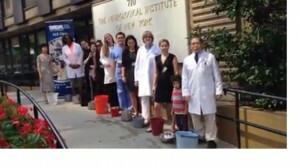 ALS Ice Bucket Challenge Sweeps Internet, But Where Did It Originate? Jeanette’s Interveiw on WCBC 880 News with Marla Diamond. Barbara J. Newhouse, The President and CEO of all 38 Chapters of the ALS Association Publicly Thanks The Senerchia’s for the First Time! Eleanor and Lou Gehrig MDA/ALS Research Center at Columbia University Medical Center Take the Challenge in Honor of Anthony Senerchia Jr.